No matter what list you check, Paris is one of the top three city destinations in the world. That goes for solo travel as well. Unfortunately, it's also really expensive. On the upside, we have lots of advice for traveling solo to Paris on a budget. This post was first published in 2015. It's time for an update. Time to confirm that our tips are still accurate and to add the latest information for making Paris affordable. If you're heading to Paris you may also want to head over to London. If this is the case, check out Affordable London: 32 Free and Low-Cost Tips. To really save money choose the low season. If you're not really bothered by the type of weather you get and you can choose when to go, plan your Paris trip between mid-November and mid-March. The cost of flights and hotels will be lower than the rest of the year. Bonus: there will be a winter ice rink outside the Hôtel de Ville. You can also go in the shoulder season and save. You won't save as much traveling in the shoulder season as in the low season but you'll do well compared to the high season which is late May or early June to the last week of August. Again, it is the cost of flights and hotels where you'll enjoy the greatest savings. Whether you choose the shoulder or low season, make sure that what you want to see in Paris is available at the time you're going. View of Paris with Eiffel Tower in the distance. From Charles de Gaulle into the city. There are a number of low-cost ways to get from CDG Airport to Paris city centre. RER B (blue) city train leaves from Terminal 2 and will take you to Gare du Nord for a cost of €10. The upside of the train is that you won't face any traffic delays. The Roissybus serves all terminals, runs every 15-20 minutes and takes you to the Paris Opera House for €11.50. Routes 350/351 of the local Paris buses travel from the airport into the city for just €6 but they will take a lot of time as they stop every few hundred meters. Note: Easybus was a recommendation from a reader but from their site it appears that they no longer serve Paris. 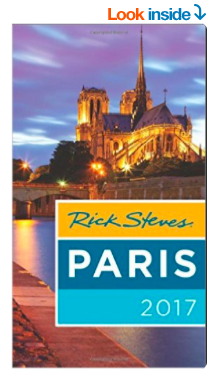 Rick Steves Paris is available on Amazon. Get a Metro pass. You can buy tickets or a Paris Visite pass for the Metro online or at the Gare du Nord but I really recommend that you study the options online before you go. Your best pass will depend on where you're staying and what you want to do. Hop-on, Hop-off. A Hop-on, Hop-off tour is great if you’re short on time or want to get an overview of the city before you dig into its specifics. There's usually a 10% saving by booking online. Walk, walk, walk. Paris is a fantastic walking city. You can cover all the major city sites and attractions on foot and, by doing so, you'll find all sorts of small plaques and interesting statues along the way. I also preferred walking in the evening and taking in the city at night. It's quite busy and I always felt safe. Here's a resource for self-guided walking tours on a variety of themes. They go into great detail so you can plan your day based on your interests. If you really want to get your history nerd on, here's a walking itinerary on the Paris of Henry V.
Rick Steves has a variety of free audio tours in podcast form with a free PDF download. 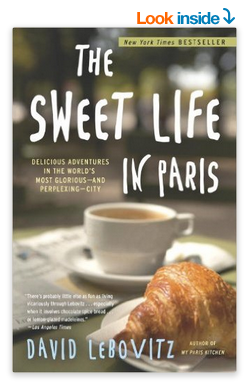 He offers commentary on the art and history of many of Paris' most notable museums and historic sites. Rick Steves is a star when it comes to traveling Europe. Recommendation from the comments below... Remember when strolling, to go inside the Printemps department store, take the elevator as high as it goes then the escalators further up to the TERRASSE where you sit free of charge on the roof of the Printemps with Paris at your feet and, if you like, a coffee or some food at the self service counters. Get the Google Maps app. I don’t like to walk about looking at my phone but with all the tiny streets in Paris the Google Maps app can be very handy. Avoid taxis. Taxis are expensive in Paris and the Metro is efficient. Even in the evening I took the Metro and felt safe as it's quite busy at all time. My Greeter took me through her neighborhood. Get a Paris City Pass. 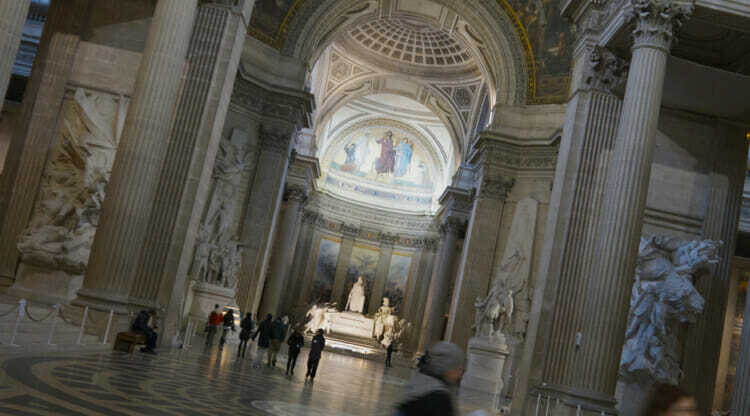 The Paris City Pass gets you into many of Paris' top attractions for free. Depending on what you want to do, it can save you lots. Free walking tours. There numerous free, guided walking tours including Discover Walks and Sandeman's. Don't forget to tip your tour guide as they are not paid for the tour. The Celebrity Cemeteries. The Cimitière du Père Lachaise and Cimitière du Montparnasse are both the final resting places of intellectuals, artists and philosophers. 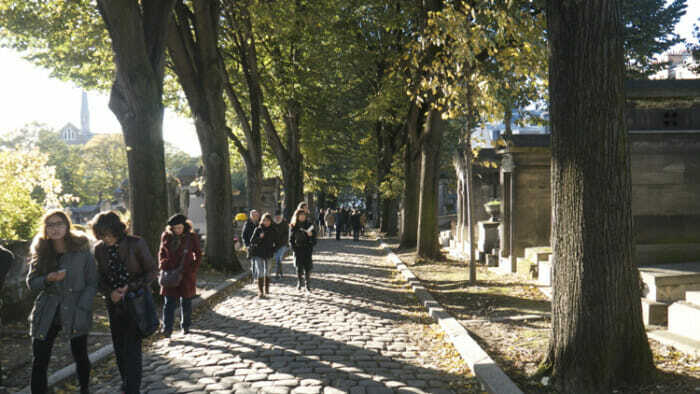 You'll find the graves of Jim Morrison of The Doors and Chopin at Pere Lachaise. And Charles Baudelaire and Samuel Beckett in Montparnasse. Both cemeteries deserve a stroll in good weather or bad. 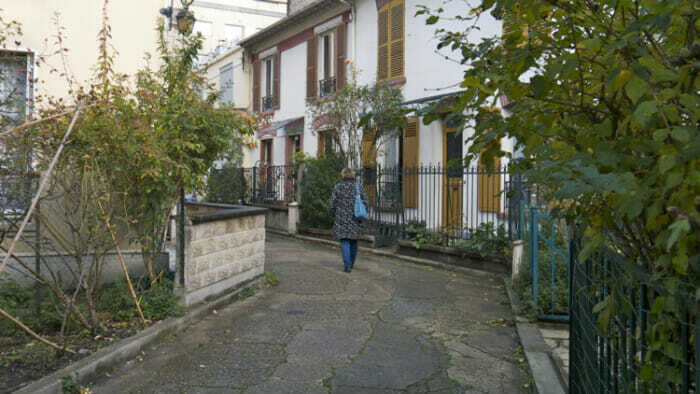 The Cimitière du Père Lachaise is a common destination for locals and tourists. Take in a free film. For a month each summer Cinéma en Plein Air festival screens films free of cost in the Parc de La Villette. Visit Shakespeare & Company. This is a store with an interesting history. It is actually the second store with the same name. 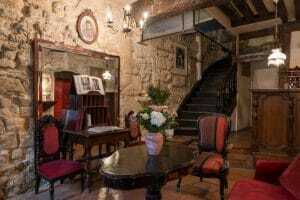 The first was famously frequented by James Joyce, Ezra Pound and Ernest Hemingway. 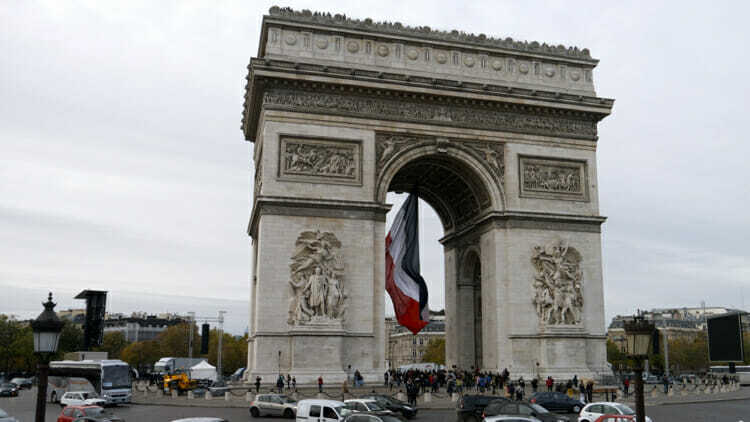 It closed in 1941 during the Nazi occupation of Paris. The second Shakespeare & Company opened in 1951. Located on the left bank quite near Notre Dame, it is worth visiting for its selection of new and used English language books, its place in literary history, and the events it holds regularly. 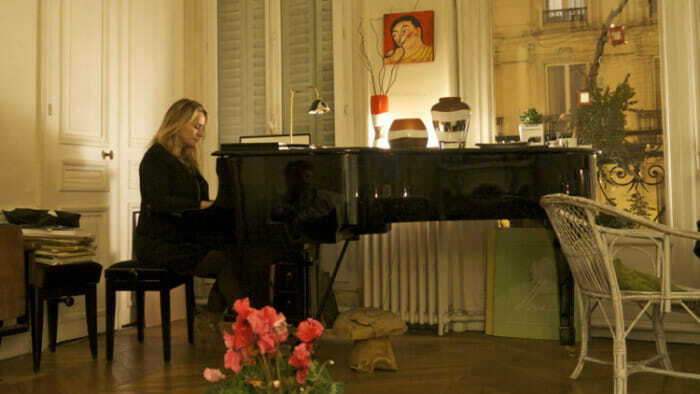 It was featured in the films Before Sunset and Midnight in Paris. Wander the arrondissements. Each arrondissement has a unique flavor and lots to offer. It's up to you which you'd like to visit. This post by Young Adventuress gives you the highlights of each. 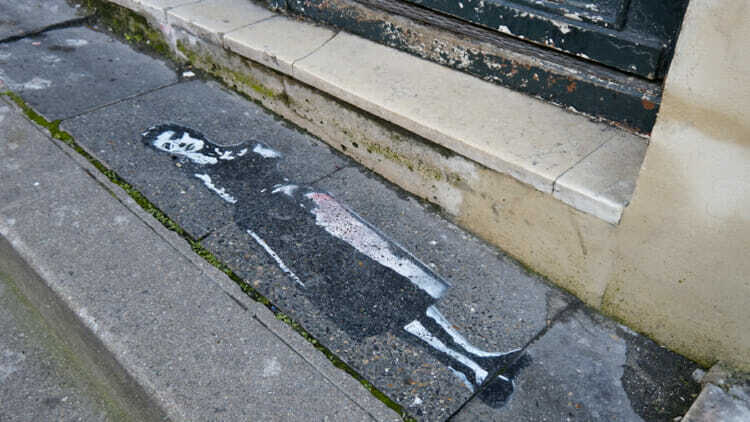 Edith Piaf, the Little Sparrow, almost certainly France’s most famous chanteuse, was born in Belleville which straddles the 19th/20th and 10th/11th arrondissements. Feeling fit? Want to climb the Eiffel Tower rather than pay to ride the elevator. You'll save €4. It used to be free but it's not much of a saving now. Buy your ticket online and you'll save yourself one queue. Or you can simply go at night and watch it light up from a distance. Cycle or roll. You can choose between a Friday night bicycle or rollerblade tour in Paris. Paris Rando Velo meets at 9.30pm in front of the Hotel de Ville. Each ride lasts from 10pm to 1am. Pari Roller starts at 10pm at Place Raoul Dautry and goes for three hours. The latter has been put on hold for a bit but if you're interested I'd check their website as it sounds like an awesome thing to do with locals. 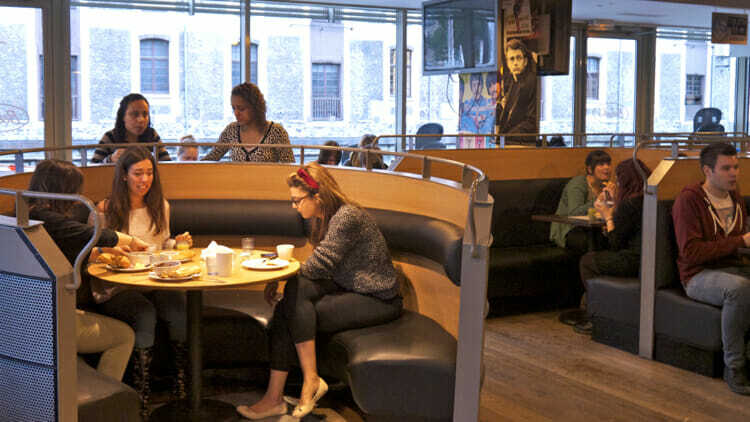 Sit at a cafe and people-watch. Forget about grabbing a coffee to go. In Paris one sits and enjoys. Take a seat at a table outside a cafe and order a coffee and then watch the world go buy. 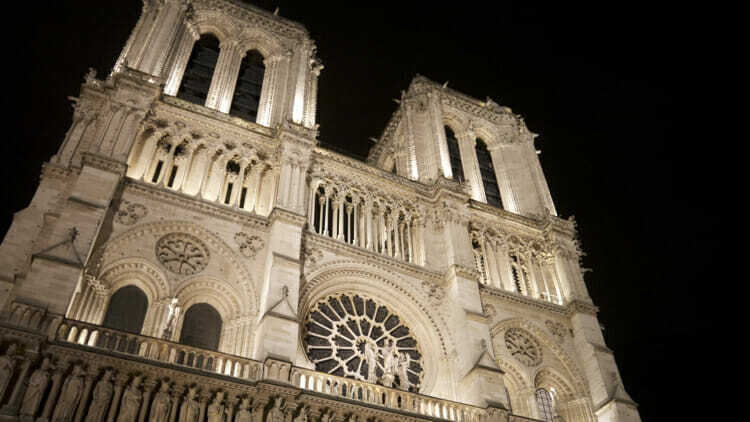 I love Notre Dame de Paris, especially at night. See the cathedrals. The Cathédrale Notre Dame de Paris and the Basilique du Sacré Coeur are the two most interesting and iconic churches in Paris. I especially like just wandering around Notre Dame de Paris in the evening. After dark there are still many people out so the area's safe and great for people watching. Plus the cathedral is beautifully lit. For the museum junkie. Most of the museums in Paris are free on the first Sunday of the month. You may want to avoid the Louvre that day as it will be really crowded but many of the other museums would be a great option. The Louvre has discounted tickets on Wednesday and Friday evenings. It's free for those under 26 on Fridays after 6. The Louvre is closed on Tuesdays. The Musée d’Orsay has reduced ticket prices after 4:30pm every day except Thursdays when it starts after 6pm. Check the museums ticket page before you. For those who want to spend lots of time at museums, consider a Paris Museum Pass. They are available for two, four or six days. Get luxury for next to nothing. Recommendation from the comments below... If you like the romance of those legendary grand luxury hotels (and their rest rooms) here's how to indulge at a bargain price. Enter and head to the bar , my favourite is a hot chocolate (about 15 EUROS) at the Bristol (favourite of Woody Allen), the flower- loving lounge-bar of George V (not five but CINQ), the ravishingly elegant Plaza Athenee, the beauty of the Meurice and the famous Ritz etc. Go to a festival. Like all major cities, Paris has festivals all year round. Paris is best known for Nuit Blanche which is held in October but there are important and popular festivals throughout the year, some of which are free. Discounted theater tickets. Kiosque Théâtre is a half-price ticket office for same-day performances in comedy, stand-up, cabaret and theatre. The main Kiosque is at Madeleine (opposite n° 15 place de la Madeleine), but you'll also find stands at Ternes and Montparnasse. Take in a fashion show. Galeries Lafayette near the Paris Opera House offers free fashion shows each Friday at 3pm on the 4th floor by reservation only. Use their booking page. For the best seats, come a little early and get a seat near the stage. Or go to a 150-year-old flea market. Marché aux Puces translates as flea market. The largest Paris flea market is in St. Ouen and was established around 1870. It's open Saturdays and Sundays and entry is free. Here's a list of more flea markets. Booking through Voulez Vous Diner I ended up having dinner at Sasha's. She also gave a concert on her grand piano. Picnic on the Seine. This is a classic and so easy to do. Simply buy a baguette, some cheese and a bottle of wine and then dine on the banks of the Seine river. VoulezVous Diner. When you want to splurge, just a bit, consider VoulezVous Diner. You'll get more than a meal. You'll get an evening in a local's home. Dinner and entertainment and local connections - well worth the price - which is quite reasonable. Go to the market. Markets not only reveal a lot about a culture but they're also a great place to get good quality, inexpensive food. Here's a list of some of the top markets in Paris. And here's Tracey's account of her experience with a few of them. You may even be able to attend a free cookery workshop. French bistros are everywhere. It's pretty hard to make a bad onion soup. 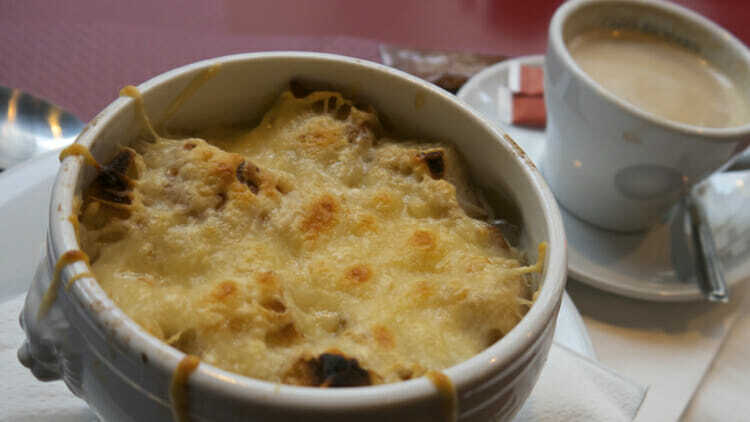 Topped with bread and melted cheese it's a French standard that's inexpensive and so delicious. It's a safe bet at just about any bistro. Choose the prix-fixe at lunch. For a full restaurant meal, you'll save money by going at lunch rather than dinner and ordering the prix-fixe. Go to one of the budget restaurants. Time-Out Paris has a list of the 100 best budget restaurants and they're located all over the city. French food is delicious and doesn't have to be expensive. Try the soup at any bistro. You really can't go wrong. As for hotels... This is a tough one for me as I haven't stayed at many, however I can point you to the Paris section of Booking.com. Check out Paris on a budget: the best cheap hotels and restaurants. Paris hostels. I've stayed at a number of Paris Hostels. 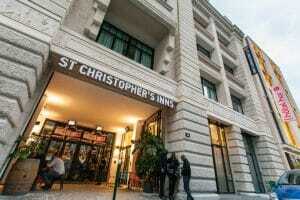 For a fun, youthful scene check out St. Christopher's near the Gare du Nord. Click to see all hostels in Paris. Look for luxury hostels. Again, I haven't covered enough ground to be able to make specific recommendations but I suggest you check out Luxury Hostels of Europe. Check out the official Paris website. Surprise! They have a page on their site called Inexpensive Paris. Check it out for their recommendations on accommodation, restaurants and more. The restaurant at St. Christopher’s Inn Canal. Free WiFi - When I was in Paris, Starbucks had the worst free WiFi and McDonad's had the best I encountered. That's not what I would expect but it's clear, you have to shop around even when the item is free. Make free calls on your locked phone. First, if you have a smart phone with you that is locked, make sure that you turn the roaming off. You don’t want any surprise bills when you get home. Make sure you have Skype on your phone. Catch some free WiFi and connect with home via Skype, Facebook or whatever your preferred platform. Read Use Your Phone Anywhere in the World: Free and Low-cost Options. Paris Charles de Gaulle is the only airport where I had both my carryon and daypack weighed at the first checkpoint. Together they exceeded the 12kg limit that is usually applied to the carryon only. I had to turn around and check my bag. The Paris Pantheon - perfect for a rainy day. Some of these updated tips came from readers in the comments below. If you have suggestions to make, please share! Here's a link to the Paris budget accommodation page on Booking.com. I stayed for 9 nights in July 2015. I booked in February through the Montmartre tourism page and got 3 nights for the price of two. I had a "cozy" room, which is just enough room for one person, but not too tight. There's a whiskey bar off the lobby, but it's a little worse for wear. The breakfast buffet is fresh and quite generous. Close to rue Lafayette, with lots of good shopping, but also close to Notre-Dame-de-Lorette Metro station, with good transfer everywhere. 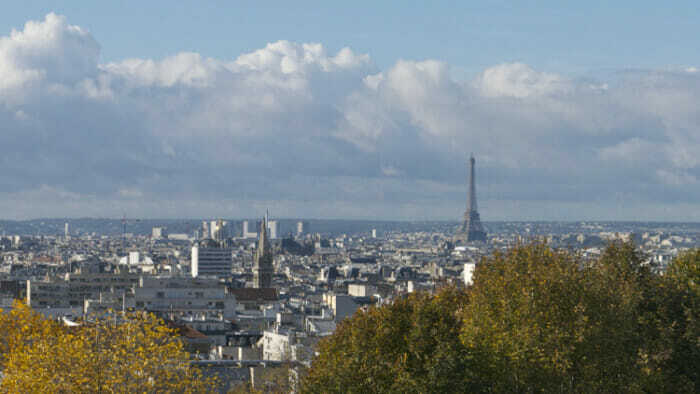 Located in the 7th arrondissement, a mere 10-minute walk from the Eiffel Tower. Surrounded by tons of restaurants, cafes, bars, metro stations and stops. Also, it’s just a short walk to the Musee d’Orsay and the Louvre. They have a fantastic breakfast, buffet-style. Very small hotel but packed with modern amenities in each room including flat-screen TV, modern bathroom, comfortable bed and a mini-fridge with some drinks. And there’s a strong WiFi signal in each room. This hostel has the best hostel bar I’ve ever been to. The bar is so gigantic that it takes up the entire first floor, and it’s a great way to meet other guests and locals who feel like meeting tipsy foreigners. Another great thing is that every hostel bed comes with a curtain so it’s easy to sleep through the light being turned on before you’re ready to wake up. This is a small, quirky hotel with a spectacular location - steps from Notre Dame and St. Julien le Pauvre, right on the Seine in the heart of the Left Bank, within walking distance of many of Paris’ historic treasures. Also within easy walking distance of several Metro stations.